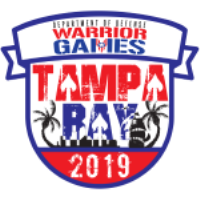 U.S. Special Operations Command is hosting the 2019 Department of Defense Warrior Games which are coming to Tampa June 21-30. Are you interested in volunteering during the Games? Volunteer registration is now open at www.dodwarriorgames.com and the volunteer registration button is located on the home page. Attached is a "How To" flyer on the registration process, along with a schedule of the events. If you want to register as the leader of a group of volunteers or have more questions about volunteering, please send an email to warriorgamesvolunteer@teamtimg.com. Volunteers are a crucial part of making Warrior Games successful. We welcome those within the USSOCOM enterprise who are eligible to volunteer and want to contribute their time to an event that supports and encourages wounded warriors to compete amongst other athletes in adaptive sports. The Games will be held throughout the Tampa Bay area to include: Tampa Convention Center, University of South Florida, Long Aquatic Center (Clearwater), Eagles Golf Course (Odessa), Bayshore Boulevard, and MacDill Air Force Base. Approximately 300 wounded, ill and injured service members and veterans will participate in the competition. The athletes will represent the United States Army, Marine Corps, Navy, Air Force, and Special Operations Command. Athletes from the United Kingdom Armed Forces, Australian Defence Force, Canadian Armed Forces, Armed Forces of the Netherlands, and the Danish Armed Forces will also compete. Teams include active, reserve component and veterans that will go head-to-head in 14 sports including, archery, road race cycling, time-trial cycling, shooting, sitting volleyball, swimming, track, field, wheelchair basketball, indoor rowing, powerlifting, and for the first time in Warrior Games history: golf, wheelchair tennis and wheelchair rugby. There are multiple days, times, shifts, and athletic events available based on your personal schedule. And remember, even if you can't commit to volunteer, your presence during the athletic competition is always welcome.